Like many of my customers, The Dirt Man loves spicey foods. 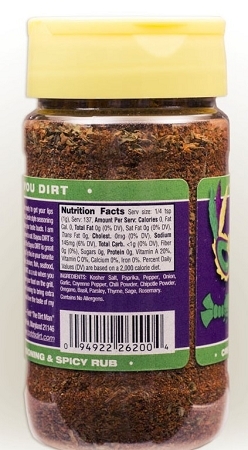 I have created a great spicey seasoning called BAYOU DIRT. . This is a creole style seasoning with a twist. I have created my own Creole blend and mixed it in with the Original DIRT. The first thing you notice is the great creole style taste. The second thing unlike most of the other Creole and Cajun Seasonings that are on the market, you will notice that this is much lower in sodium. It does not have the salty effects that you get after tasting other kind of Creole seasonings. Thirdly it is 100% all natural with No MSG and is Gluten Free. This is great tasting and it is more healthier. 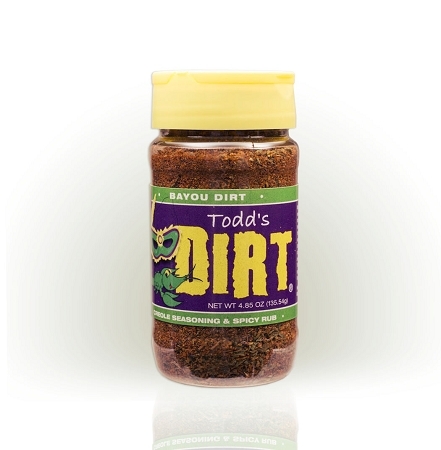 Put BAYOU DIRT on anything you want to spice up. Try this in your favoirte Creole/Cajun recipes or put on steak, beef, pork, chicken, fish, seafood, chili, ribs, vegetables and more. 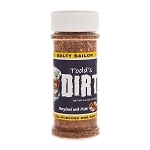 Use the Bayou DIRT as a rub when you are using it for your grill or BBQ. Use it to blacken your food on the grill. There is so many uses for the Bayou DIRT. "I put my DIRTY reputation on the line. 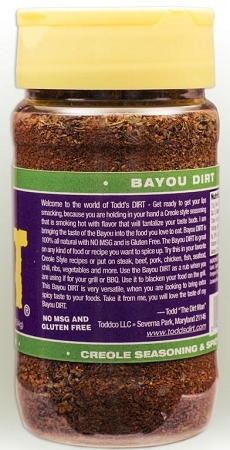 You are going to love thisBayou DIRT " Todd "The Dirt Man"